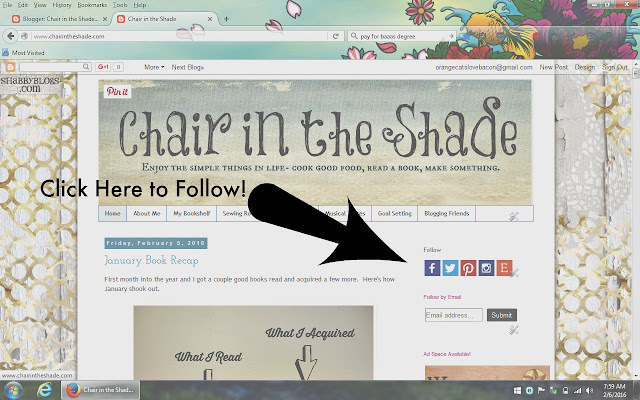 Chair in the Shade: Come Get Social With Me! This week I signed up from Just Bee's Blogging Breakthrough Workshop. It's targeted for new bloggers, bloggers looking for results, and bloggers wanting to dig deeper into blogging. It's a great little seminar and with the coupon code on her blog, I was able to sign up for just $18. I figured I've wasted $18 on a lot of worse things, so it was worth a shot. Well, it's jam packed with all types of ideas for everything from photography, social media, hosting, and more. I like that it gave me a jumping off point for a lot of stuff I knew I should probably be doing, but haven't done yet, so it definitely nudged me to make some pages. First, I finally made a Facebook page for Chair in the Shade. I've always been leery about getting my private life and my online life too close to each other, but when I started thinking about all the things I could do with Facebook, I finally decided to just take the plunge. So, there's not much there right now, but if you'd like to stop by and like it, so we can stay connected, that'd be awesome! Second, I finally got around to creating more professional social media links for all my platforms. You can now find them all together at the top of the right hand column. Here's little picture to see what I'm talking about. It was so easy, I can't believe I waited so long to try it! I have links to my new Facebook page, Twitter, Pinterest, Instagram, and even my Etsy account (my shop is currently closed, but you can still see my likes and sign up to be notified when I reopen). The seminar also got me thinking about some other things, but so far these are the biggies. 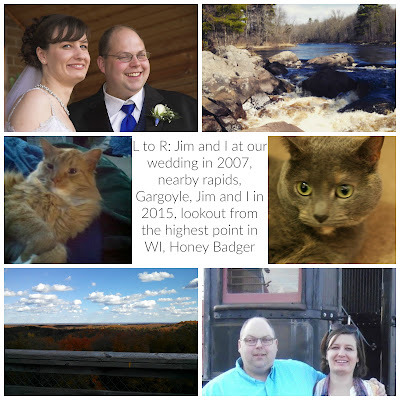 So, that's what's new on the blog front. Any tips or hints for blogging related programs or apps you think I should be checking out? Let me know! Oh hey, I'm already following you on Twitter. Duh!